After using Sydney as a base for my winter break for the past two years, last year I switched to Melbourne and was delighted to find it equally friendly and welcoming. Over my years of globe-trotting, I have found that visiting fewer places and staying longer is more rewarding than trying to cover lots of different locations in a short space of time. A more leisurely pace, allows for greater and deeper interaction with places, people and wildlife…it really does make a difference…you become less of a day-tripping tourist…and rather more of a resident… albeit a temporary one. For me, being allowed to share in the life of a community is a great privilege and hugely rewarding. Shortly after settling in to the Metro YHA in North Melbourne, I attended a Board meeting of the older gay and bisexual Vintage Men’s Group during which I offered to help out with their Midsumma Carnival stall in Alexandra Gardens. I agreed to meet up with Chair Paul and Treasurer Gordon at the LGBT Joy Radio Station, which also allowed me to take part in their weekly programme before heading off for the Carnival ground via Sawanson Street and Federation Square. Along the way, I took enormous delight in playing several of the colourfully decorated pianos dotted around the city for anyone to use. Melbourne is such a cultural city! 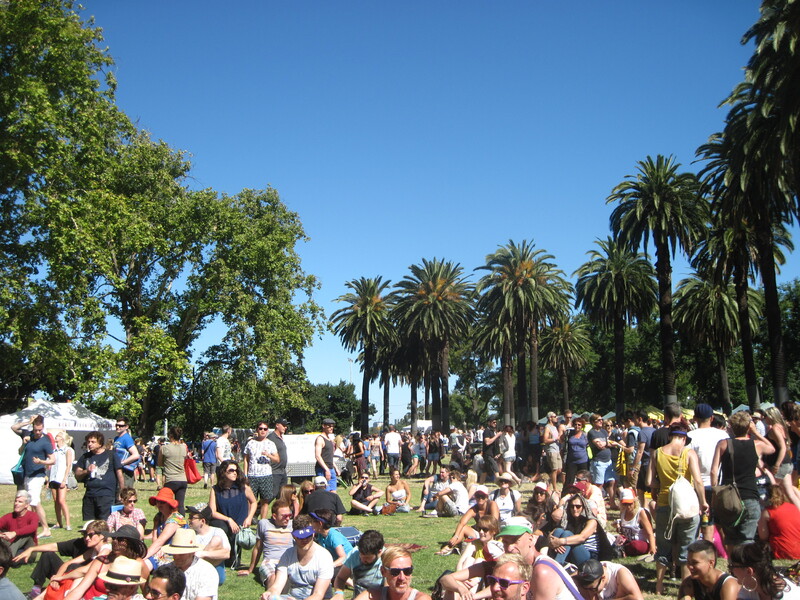 Like Gay Prides in the UK, Midsumma Carnival had main and community stages with full programmes of entertainment throughout the day… along with a sea of tented stalls for LGBT organisations, various charities as well as gay friendly commercial enterprises. Unlike the UK there was a huge free water tank where bottles could be filled up with cool fresh water…essential to prevent dehydration in the soaring temperatures. It was a long, hot day…but it was uplifting to be able to show solidarity with the Melbourne LGBT community and be part of such a wonderful celebratory occasion. At the top of my agenda for this visit was a trip to explore part of the vast Outback. Although it takes up a huge part of the country, it was somewhere I had never been and wanted to experience first-hand. Alice Springs, situated in the centre of Australia, seemed an ideal place from which to investigate Uluru (Ayres Rock) and Kata Tjuta National Park as well as Kings Canyon and Mount Conner. Prior to flying to Alice Springs, I spent a relaxing few days at Apollo Bay on the Great Ocean Road. 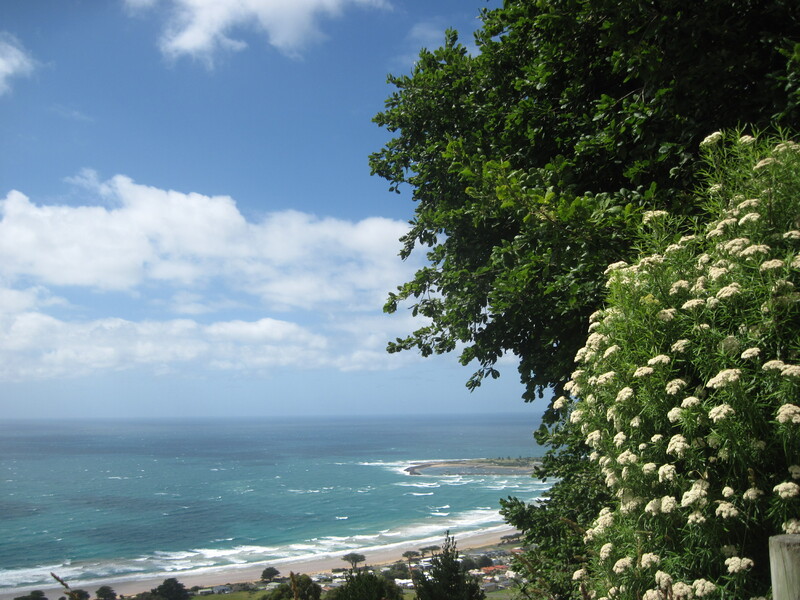 I teamed up with Sophie a delightful French speaking mum with two smart small boys from New Caledonia to visit spectacular waterfalls and ancient rain forests in the Otway Peninsula. I also wanted to go kayaking with seals, but coastal conditions prevented any excursions until the afternoon of the last day of my stay. As the only single person I was teamed up with one of the guides, Quinn a very fit young man who ensured the boat stayed upright and on course. Marengo Marine Sanctuary regulations prevent humans from getting too close to the seals, however, seals operate by a different set of rules and some of the more curious swam close up to check us out. Magical! Unfortunately, whilst getting out of the kayak at the end of the excursion I twisted and sprained my ankle. Ouch! Undeterred by my accident, I returned to Melbourne to sort out flights to Alice Springs and left early on Thursday. The Qantas flight was full but the 3 hour journey to central Australia passed quickly…and I easily got a shuttle directly to the YHA where I had a bottom bunk in a 4 – bed dorm. The hostel is in the former Pioneer Theatre which the YHA rescued from being demolished. It seemed so peaceful after the busy city of Melbourne and even had a swimming pool to cool down from the heat of the afternoon sun. My swollen ankle took some time to go down, and I really should have rested it instead of signing up for the Rock Tour which involved long walks but promised the opportunity to sleep under the stars of the southern night sky. I explained my predicament to Tom our guide and driver, and he reckoned that I should be able to participate in a reduced fashion with most if not all of the activities. The first challenge was the base walk around the Rock. Whilst the rest of the group did the full circuit of Uluru, I only did the half-base walk, but in the heat even that proved too much and my foot became painfully swollen. 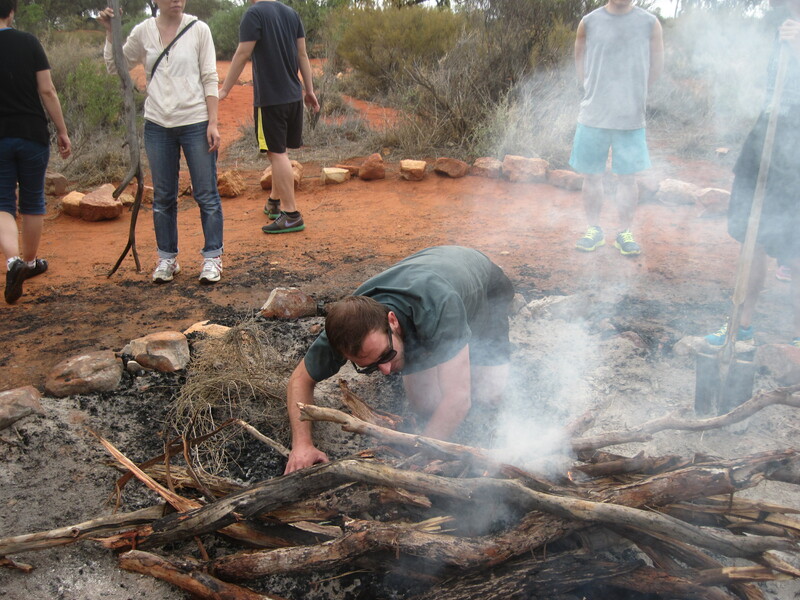 I opted out of the Kata Tjuta walk the following day. But the weather had turned and before the unbelievable early wakeup call of 4.15am it started to rain. Prolonged rainfall in Central Australia is unusual. Normally visitors never see waterfalls on Uluru: we did! Instead of watching the sunrise over Uluru as scheduled, we witnessed the unusual spectacle of water gushing down the myriad vertical drops from the Rock. I guess it proves every cloud has a silver lining! Our group was made up of four young South Korean medical students, a PhD student from China, a mother and daughter from South Korea, young couples from Italy and the Netherlands a pair of girls from Germany, one 19 year old girl from the USA, Risa from Japan who sat next to me and Killian, the apprentice guide from Donegal. Tom the driver was the only other English person on board apart from myself and came from Gloucester. No one could have expected such a diverse bunch of people to jell into a harmonious, caring group…but it did. Everyone lent a hand in preparing meals and cleaning up afterwards. We helped each other to deal with the hazards of sleeping in swags outside in the rain and to laugh away the disappointment of sunsets and sunrises that turned out to be misty none events. People seemed genuinely concerned over my welfare and ensured that I had something interesting to read in the bus whilst they were out walking in the rain. The feeling of camaraderie reached a peak with the collecting of fire wood to cook a delicious meal on a roaring fire that lasted throughout the night. Back at Alice Springs, everyone turned up for a final celebratory meal at the Rock Cafe…though I didn’t take part in the drinking competition which went on until midnight. It’s true it took me a few days to recover, but it was well worth it…the kind of adventure that I wouldn’t have missed for anything. For the remainder of my time in Alice Springs, I tried to rest my feet as much as possible and confined myself to day excursions in comfortable air conditioned coaches to the MacDonnell Ranges. This brought me into contact with a completely different set of people… mostly older couples from South Korea, Canada and Austria. The Austrians’ challenged me to test out the acoustics at Simpsons Gap and Standley Chasm by singing …a challenge I gladly accepted and for which I was rewarded with a spontaneous round of applause! 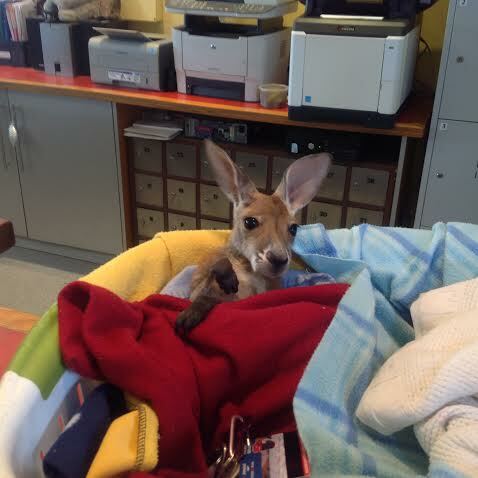 Back at the YHA, baby orphan kangaroos Archie and Ali were the centre of attention. Amy the assistant warden and one of Chris Brolga’s kangaroo mums, allowed me to hold Archie for a precious moment. Unfortunately, not everything in Alice Springs is as uplifting as the work of Chris Brolga Barns (BBC’s Kangaroo Dundee) and his kangaroo sanctuary. By the dry river Todd and in the town centre, I encountered a largish community of Aborigines who appear to be just lying around with no goal or purpose in life. However in contrast, I also came into contact with some highly successful Aborigines who were making their mark through the arts and by reclaiming their heritage and languages. Witnessing families arguing, apparently destitute and begging is nevertheless distressing! My adventure ended back in Melbourne where I met up with Beverly the talented organist at St Mary’s Anglican Church in North Melbourne and her friendly canine companion Kirrip. I totally misheard Beverley’s explanation of her dog’s name…. I thought she’d said that ‘Kirrip’ was Aboriginal for ‘made to repel’ …suggesting a fierce kind of beast…at which she doubled up with laughter and said: ‘No! No! It means…mate or pal’ …suggesting an altogether different and much more appropriate character for her adorable soft-eyed pooch. 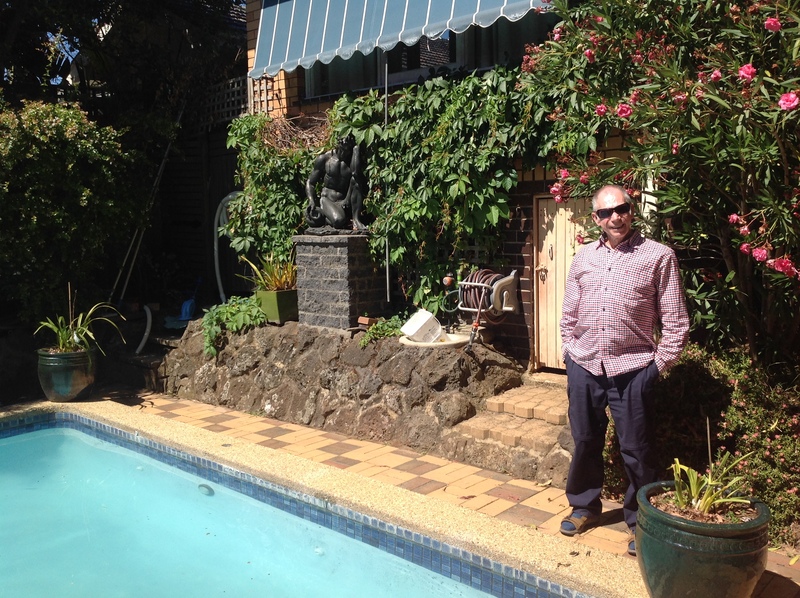 Paul and Gordon from Vintage Men invited me to join other members of the group to spend Australia Day by the poolside of a house belonging to a couple of their more affluent members. Delightful surroundings, plentiful food and great company…what an enjoyable way to round off the trip! And in my view, the entire adventure was also a fitting way to celebrate 30 years living with HIV!